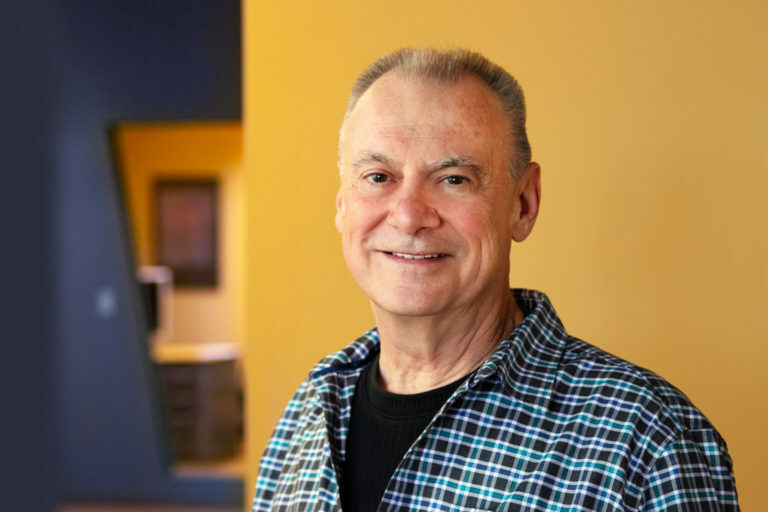 Bob’s role at FalkHarrison is to manage connectivity and technology across the enterprise, including coordinating electronic workflow and supporting the systems that make the creative process possible. Daily, he is called upon to serve client interests and deliver top notch project support and seamless technical services. Previous to his near 30 years at FalkHarrison, Bob held positions as a technical sales consultant and a project-workflow manager in the graphics production and pre-press industry. Outside of the office, Bob is an amateur gourmet, passionate about coffee, and a fan of all golden retrievers everywhere.